← Ding, Dong, the witch is dead and other assorted things…. Dear muck boot makers…you are wearing me out. I would like to direct this open letter of complaint to everyone who has ever made my muck boots. Your numbers are legion. In the year-ish that we have been at Blueberry Acres Farm, I have gone through no less than 8 pairs of muck boots before completely wearing them out. That is a “shelf life” of approximately 45 days per pair. I have bought these boots all over the place from the big box store to thrift stores to sporting goods stores. I have even attempted to buy your boots online, but I have found that in the world of one size fits all muck boots, it’s hard to get good information about fit for something that most manufacturers seem to think is an afterthought. Some homesteaders have pudgy calves. I am one of those. Can you please not make boots that feel like they are trying to strangle said calves? Shoes that are too tight are bad enough, but wrap some rubber around your calves and then start sweating…well, I am pretty sure that is what hell feels like. I calculate that I have spent between $200-$300 on these boots, which might lead some to ask…why don’t you just buy the expensive boots and be done with it? Alas, at 45 days a pair, I’m a little afraid of dropping that kind of cash on boots just to have them follow the same cycle of wear. I don’t think I’m particularly hard on my boots. I wear them typically no more than 1-3 hours per day on regular days and probably closer to 6 hours on heavy work days. I would imagine that many homesteaders/farmers are the same. I prefer not to work outside in clogs/shoes/flip flops because of snakes..Missouri has more than our fair share of them. 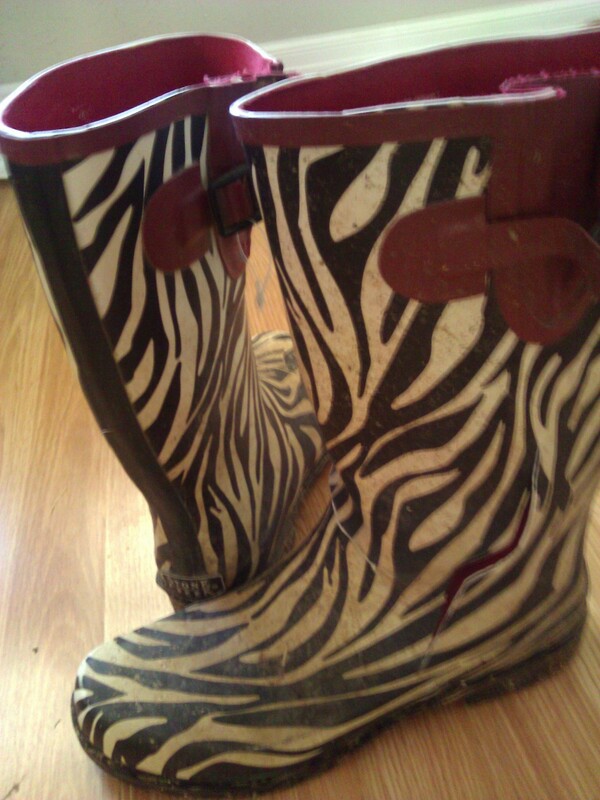 As a result, muck boots are my shoe of choice and right now, that choice stinks. So, dear manufacturers…I’m wondering. Does anyone actually have a muck boot that will stand the test of time? I’m not expecting something to last for years…but months would be nice. Sigh. Rant over…I need to go find a new pair of muck boots. Posted on July 16, 2013 by BAFarm	• This entry was posted in Frustrations, Gardening, Homesteading, Uncategorized and tagged gardening boots, griping, muck boots. Bookmark the permalink.